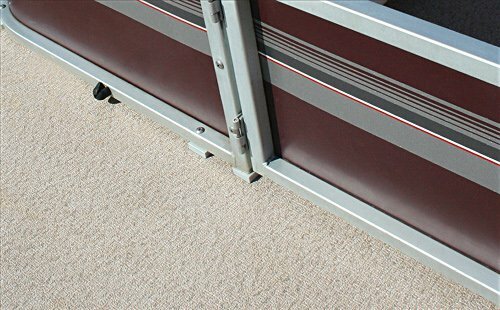 Designed for all types of watercraft, MariDeck Flooring is an attractive but durable alternative to marine carpet. The resilient finish of this exterior grade, vinyl deck covering features a slip-resistant textured surface, UV resistance, and moisture barriers. These qualities allow for easy cleaning and low maintenance. MariDeck flooring can be installed on wood, aluminum, or fiberglass making it ideal for pontoons, ski boats, and fishing boats. Available in a variety of colors, designs and thicknesses. Offered with a two year warranty. 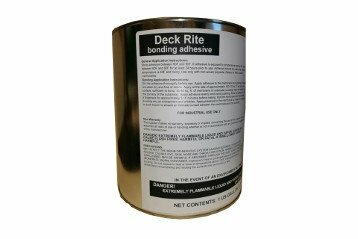 Water based adhesive for wood applications only. Comes in 1 or 3 gallon sizes. 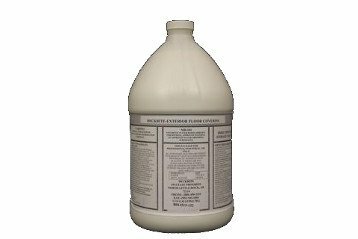 Solvent based adhesive for aluminum and fiberglass applications only. Comes in 1 or 5 gallon sizes.